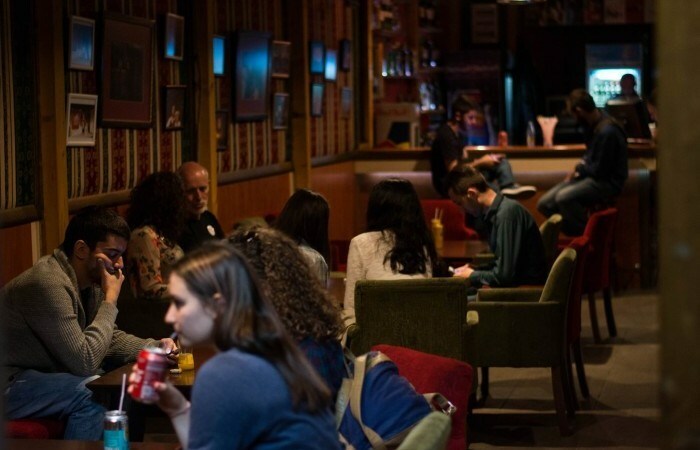 On Saturday, a special edition of BarCamp Prishtina was held. It comprised of a set of interesting and intriguing speeches for the audience, who seek to innovate and develop themselves both in academic and professional terms. This special edition of BarCamp Prishtina held in the framework of the Sustainability Jam brought four speakers with interesting speeches about the projects that they manage, thus raising the interest of the audience to partake in such endeavors. As it has been the case in the previous editions of BarCamp, this one also tried to instill innovation and inspire the audience by offering them inspiring stories and generating sustainable ideas. Since this edition was organized in cooperation with unaVision Kosovo, its purpose was to disclose and promote sustainable projects within Kosovo that deal with Social Entrepreneurship. By identifying social problems, this BarCamp aimed to offer concrete solutions and what different organizations are doing to counter them. Starting from Sarah Kupke and Johannes Pfister, Arbnore Berisha, and Lorik Muçaj, speakers focused on community-driven projects. thereby establishing a close relationship with the audience! As usual, this edition of BarCamp took place at the Oda Theatre, an area that provided a decent environment, where more than 70 registered participants could gather, socialize, listen to speeches, and share ideas. Each talk and discussion ensured that the participants’ minds remained engaged, while free fresh drinks kept the former receptive to ideas and thrilling discussions. Sarah Kupke and Johannes Pfister, members of the ThinkCamp non-profit cooperative in Germany and co-founders of the unaVision initiative in Kosovo, shared their knowledge and experiences in order to support social businesses and sustainable living in Kosovo and to work together with inspired, sustainable-minded people. By referring to the urban garden project held in Arberia, Prishtina which seeks to produce food within the city, they pointed out several ideas and advantages of creating green and social jobs. The speakers also invited the participants to join their prototype of an eco-social entrepreneurship summer school, which starts in June 2015. Arbnore Berisha, engaged in UNICEF Innovations Lab Kosovo, namely the BYFY (By Youth For Youth) Pillar as Senior Project Officer for projects led by the youth and implemented by NGO PEN. As her role is to empower young people to transform their ideas and social problems into innovative projects by offering them firsthand experience, development, and help in implementing their projects, Arbnore focused on one of the main projects she has been involved in, specifically UPSHIFT: Social Impact Workshop. As a “pre-incubator,” UPSHIFT is bridging the gap between ideas and sustainable projects by providing funds, equipment, office space, training and mentoring to youngsters from all over Kosovo. In between Arbnore’s speech, two young participants of UPSHIFT, Alma Gashi and Uresa Ahmeti, shared their project called “Let’s See” which aims to raise the awareness about optical health within the community of the Ferizaj region by visiting students in schools and organizing eye examinations. Both girls offered a concrete examples of how youngsters with innovative ideas can turn counter a growing social phenomenon and provide a solution that benefits the whole community. Lorik Muçaj, founder of the organization Green Art Center – Prishtina, provided an insight on the main activities of GAC, specifically EcoFriend. Serving as a mechanism established by GAC, EcoFriend aims to create and finance “Green Clubs” in public educational institutions, in order to promote environmental education and civic activism. As Lorik explained, the activities of these Green Clubs are financed through the processing and recycling of waste. This is a wonderful example of how the growing environmental problems in Kosovo can be counteracted through the engagement of the community. The participants were quite active and eager to introduce themselves to individuals in the BarCamp that they had previously not met. Thus, another objective of BarCamp, i.e. creating connections, was reached as participants also hanged around after the BarCamp and showed their interest in expanding their network and engaging in projects.